Below is a quick and easy guide to follow, but if you have any questions, give us a call! Battery-free: HomeLink is powered by the electrical system in your Chevy, so no more buying and changing batteries. Control Up to Three Devices: Integrated into your vehicle’s interior, Homelink allows you to control up to three devices. Compatibility: The Homelink system is compatible with just about all garage door openers and gate systems, as well as a variety of other radio-frequency (RF) controlled devices. Easy of Use: It’s easy to connect the system; all that’s needed is the press of a few buttons. Safety & Security: This system informs you when your door has been left open or closed. With the Homelink app, you can have remote control over other devices in your home, like the lights, and security system, which gives extra peace of mind when you’re on the road. How Do I Program Homelink? The Homelink unit has three buttons located on the ceiling of the car, just above the center console. Press and hold down the first and third buttons until the interior lights of your car start flashing. This takes about 20 seconds. Keep in mind, pressing the first and third buttons is the master reset, and is not necessary when adding other devices. Once the lights begin to flash, press and hold the button you want to program while you simultaneously press and hold the open/close button on your garage door opener. The lights will go from a slow to rapid flash, which means the programming is complete. In the garage, press the “learn” button on your garage door opener. Go back to your car and press the programmed button on your car for at least two seconds. You might see lights on your garage door opener flash, and this means it’s connecting. Contact us in Jacksonville to chat with an associate about the benefits of Homelink, and how easy it is for drivers to program the system. 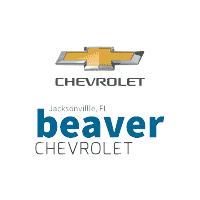 Installing the Homelink system is not difficult, but if you get stuck and need help programming it, or updating your Chevy MyLink software, the team of certified service technicians at Beaver Chevrolet are ready to walk you through it. What is the 2019 Chevy Traverse Towing Capacity? 0 comment(s) so far on What is Homelink?